You know what QR Codes are and have even scanned one. These 2D barcodes are an excellent tool to drive traffic from offline media to online content. QR Codes are now commonly used for various promotional and operational use cases across industries such as marketing, payments, and education. QR Code technology is so versatile that even Police across the globe are using them. Speedy procedure is most important to solve a crime. 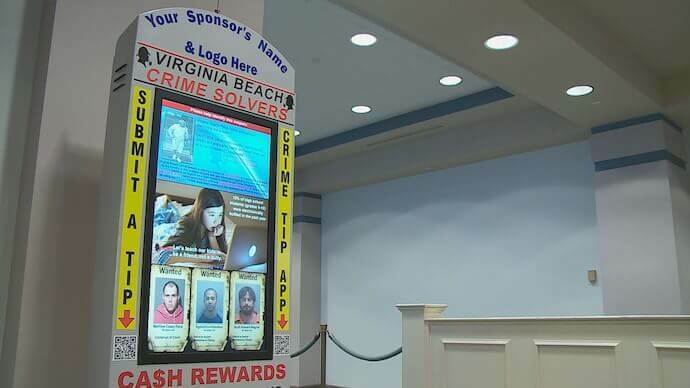 To speed up the process and help people report crime, Virginia Beach Crime Solvers opened ‘crime kiosks’ in 2018. These kiosks help people report crime anonymously. Each kiosk screen has a QR Code. People can scan this QR Code on their smartphones. They can then download the P3 app and submit a tip. Kiosks also act as ‘digital wanted posters’. That means they show information on wanted criminals. Crime Solvers have installed kiosks at all Virginia Beach area Walmarts. There are many people who want traffic crash reports for their own purposes. And they generally have to visit a police station to get one. A Police department in Ohio (United States) adopted QR Codes to help citizens get traffic crash reports. It aims to save time for both citizens and Police Officers. However, not many people knew about this facility. So Monroe Police Department used QR Codes to enlighten citizens about the facility available to them. They put up QR Codes on the sides of police cars. These QR Codes, when scanned, redirected citizens to an app having all the important information on Police’s website. Say you’ve boarded a cab to go to the office. And the driver misbehaves or takes the vehicle via a suspicious route. To ensure passenger safety in such situations, Delhi Police (India) adopted QR Codes in 2017. Public transport such as taxis and auto-rickshaws are required to have a QR Code. 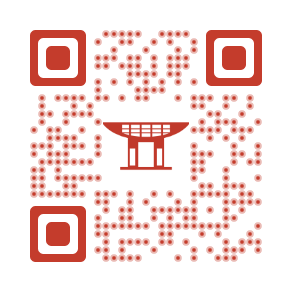 This QR Code, when scanned, shows driver’s name, address, and vehicle’s registration number. So as one boards the taxi/auto-rickshaw, she can scan the QR Code and access driver’s details. The GPS allows police to track the entire journey of the vehicle. Mumbai Police and Mysore Police have taken similar steps to make it easier for passenger to commute via taxis and auto-rickshaws. You’ve seen Police officers checking driving licence for safety purposes. Say a traffic cop stops you and asks for your driving licence. And you’ve forgotten to carry it. To curb this issue Thailand decided to launch virtual driving licences. These virtual driving licences will even notify users about their traffic tickets and licence validity. Citizens can simply install DLT QR licence mobile app and register themselves. This will show images of their driving licence on smartphone. The Government of India also took a similar step in 2018 with the launch of DigiLocker. DigiLocker is a digital locker service. 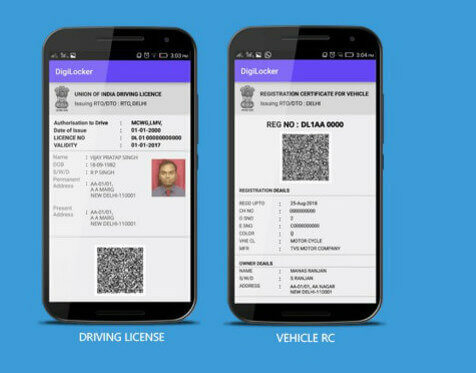 It allows Indian citizens to save digital copies of their Driving Licences (DLs) and vehicle registration certificates (RCs) on their smartphones. Citizens can simply install DigiLocker on their smartphones and authenticate themselves. This helps them download the document within the app itself. It is common to find Police patrolling vans moving across neighbourhoods during the night. Police force tries its best to be as vigilant as possible. But there is always a possibility of skipping a house or a street. To deal with this issue, Karnataka Police (India) rolled out a QR Code-based mobile app—Subhabu. Police officers can install the app on their smartphone to scan QR Codes tag present at each house. The app connects to a server in the district police station. This alerts the Police when they miss a house or a street. Similarly, Police installed ‘red-boxes’ in areas that need high levels of policing in Bangkok. Officers have to scan these QR Codes to prove their presence on patrol. To ensure the efficiency of this system, patrols are monitored in real time with GPS tracking. Police Officers in Kyoto (Japan) used to have many non-Japanese tourists enquiring about directions. This consumed a lot of their time and kept them from focussing on more pressing matters. To deal with it, they set-up posters with QR Codes at police boxes. One can scan these QR Codes with a smartphone to access maps location for a site. One usually needs to visit a Police station for cases such as job-verification and self-verification. But this takes a lot of time. To help its citizens, the district Police of Ramanathapuram (India) announced the launch of online Police verification. It will allow individuals, companies, and institutions to get Police verification report (PVR) online. Each PVR will have a QR Code. People can simply scan it using a QR Code scanning application on their smartphone. This QR code will help them verify whether the PVR is genuine or not. 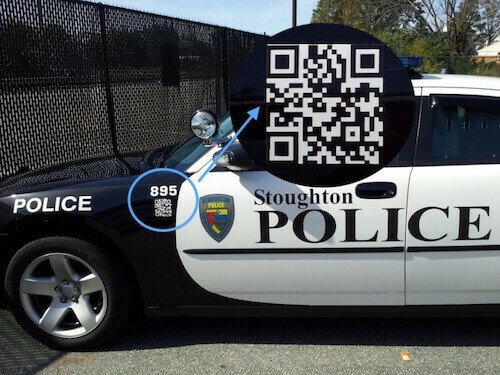 Examples above show that Police departments across the world are using QR Codes widely. QR Codes help them with various use cases such as ensuring effective patrolling and passenger safety. Do you know a use case that we missed? Let us know in the comments.